If you’ve spent a lot of time on the road, then odds are you’ve experienced the lump in your throat when the check engine light comes on. While other warning lights are easy to read and understand (gas, oil, tires, etc. 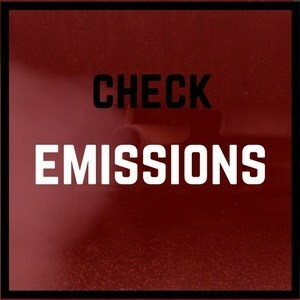 ), the check engine lamp can mean so many different things that it may cause you to freak out a little bit. Usually, to figure out what’s going on you will have to take your vehicle to a mechanic, but what if you could diagnose the issue in your own driveway? Fortunately, you can do that with an OBD2 Scanner. This little device plugs into your car’s internal systems and provides you with a wealth of information about what’s causing your light to illuminate. This way, you can figure out if the problem is minor or major and plan accordingly. For example, if it’s a loose gas cap then you can pop it back on and be on your way. Ultimately, if you want to take charge of your car’s regular maintenance, you need an OBD2 Scanner. So, with that in mind, we are going to take a look at the Innova 3160e. This is one of the newest models from Innova, and it will provide you with everything you need to figure out what’s going on under the hood. Scan Tool vs. Code Reader. 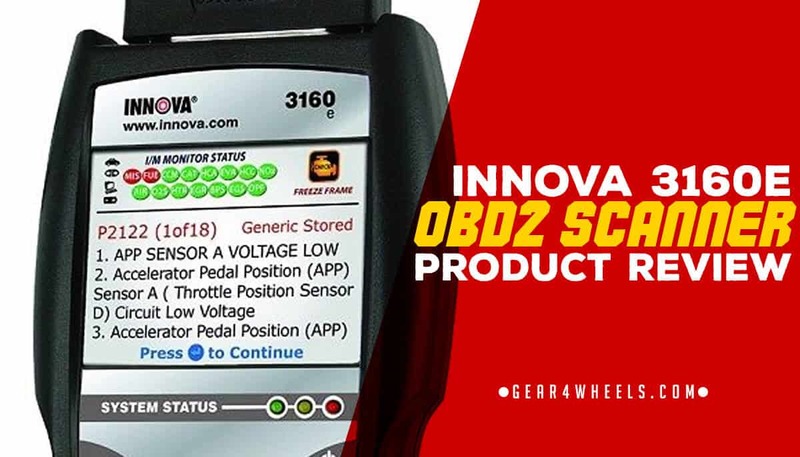 When looking at different OBD2 Scanners, you’ll notice that some of them only provide codes while others offer more comprehensive solutions. In this case, the 3160e is both a scan tool and a code reader, meaning that you can find out what’s wrong and figure out a solution without having to consult a professional. As it usually goes, code readers are designed to spit numbers at you without any kind of follow-up information. If you are an experienced mechanic and you know exactly what each code signifies, then a reader can be an excellent option as it costs less and doesn’t get confusing. Scan tools, on the other hand, are better for anyone who needs a little more information to figure out what to do. While it won’t necessarily define each code for you, it will usually offer more functions such as checking your battery or airbags as well as enable you to get repair solutions online. 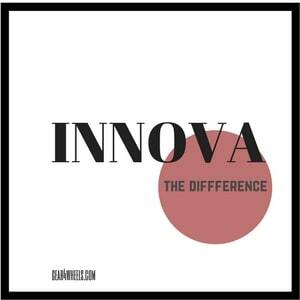 If you are looking for the best brand of automotive products, then Innova should be at the top of your list. For the last 27 years, the company has been dedicated to providing the best quality equipment for both consumers and mechanics. The reason that Innova is ahead of the pack is that the brand has the best customer service and experience in the business. 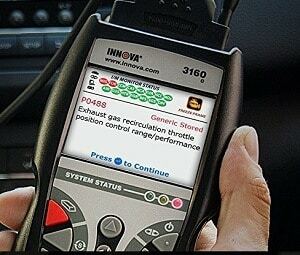 As such, Innova Scanners are some of the best devices you can find anywhere. One of the primary functions of any OBD2 Scanner is to help you reset your check engine light once you’ve identified and fixed the problem. This way you don’t have to worry about it being on after the fact, as that could be dangerous to your car. With this device, finding the codes and clearing them is super efficient, and with a full-color screen, it’s never been easier to read them. Reset Oil and Battery Lights. Because this is a scan tool as well as a code reader, you get some extra functions that you might not find on other models. In this case, you can also check and reset your oil and battery lights in addition to your engine. If you’re the kind of person who likes to change their own oil or replace their own batteries, then this will enable you to do so properly while ensuring that your lights don’t come back on afterward. While other OBD2 Scanners can be hard to read, the 3160e is designed to be as functional and helpful as possible. The large screen shows up to 25 bits of information at once, and that coupled with an easy-to-use menu means that you can get the job done much faster and be on your way to fixing your car in no time. Best of all, it comes with hotkeys to make searching for information even easier. With other models, if you wanted to sync your diagnostic information you would have to connect the device to the computer directly or write them down and transfer the data manually. With the 3160e, however, it can stream your results directly to your Innova account so that you can look it up at a later date or share it with other people (your mechanic, perhaps?). Even if you aren’t sure that you’ll use the sharing feature, it’s always good to record your data just in case something happens and the machine resets for some reason. That way you don’t have to start from scratch, and you can refer to your codes with or without the device. As we mentioned already, Innova sets itself apart by having the best customer service in the industry. That commitment to service is also found in the Repair Solutions system, which enables you to see what you can do to fix your car when something goes wrong. Taking your data readout, the system will outline various repairs that are needed so that you can figure out if you can do them yourself or if you have to get a professional to take a look at your car. Best of all, these reports are free with your account (although detailed versions do cost a nominal amount extra). Considering that OBD2 was designed to help regulate emissions on vehicles, one of the primary functions of these scanners is to let you figure out if your car will pass local emissions laws. If you are coming up on a renewal, it’s always best to do a quick pre-check yourself to figure out if anything is wrong or needs fixing. You don’t want to be stuck in a pinch at the DEQ station, so figure this stuff out ahead of time. When compared to other OBD2 Scanners, the 3160e is much better and more reliable overall. Having the ability to check more than just your engine means that you can do so much more to take care of your car without having to invest in different devices or tools to make that happen. Whether it’s changing your battery, your oil, or testing your brakes, this scanner will help you keep your car in tip-top shape all year long. If you want to extend the life of your vehicle, this is one of the best items you can get. How do I figure out what the different codes mean? No, it doesn’t. Some makes and models are not compatible with this machine. Most newer cars are fine, but if it’s older than 2000, you may have trouble finding those codes. How can I find out what vehicles are compatible with this device? You can search online through Innova’s website to see which makes and models are supported. How long is the cable to connect the device to my car? It is about six feet long. Before 1996, if you wanted to check your car’s internal systems you would have to have intimate knowledge of the components of your engine so that you could run a full diagnostic. This took time and a lot of effort, and it wouldn’t guarantee that you would find the problem. After that year, however, automakers decided to install a system that would allow people to quickly check what was going on without having to inspect each part individually. To do that, you needed a device called an OnBoard Diagnostic Scanner. So why is there a two at the end of the acronym? Well, before this system was implemented, car manufacturers used proprietary codes and standards, which meant that you had to learn different systems for each vehicle. To make things more streamlined, a universal code system was adopted, hence the term OBD2.One thing to keep in mind, however, is that this metric was selected only to monitor emissions levels. That means that while you can spot some irregularities with the device, you won’t be able to figure everything out, as it’s only connected to the parts that are related to emissions, such as your gas or oil tank.